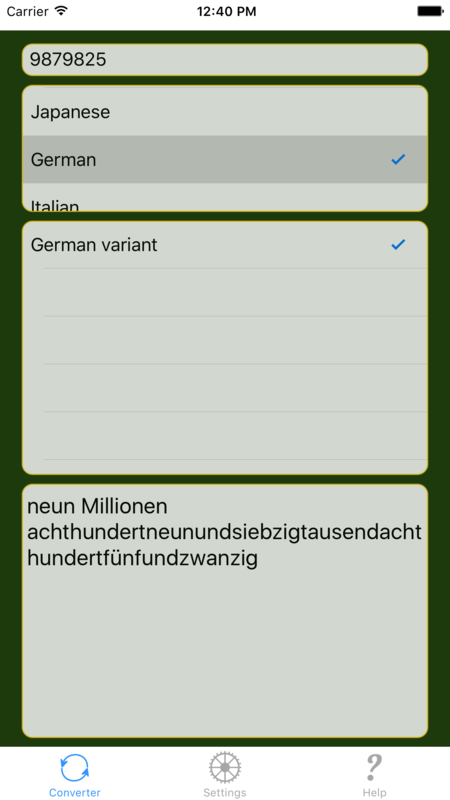 Are you able to count in several languages ? 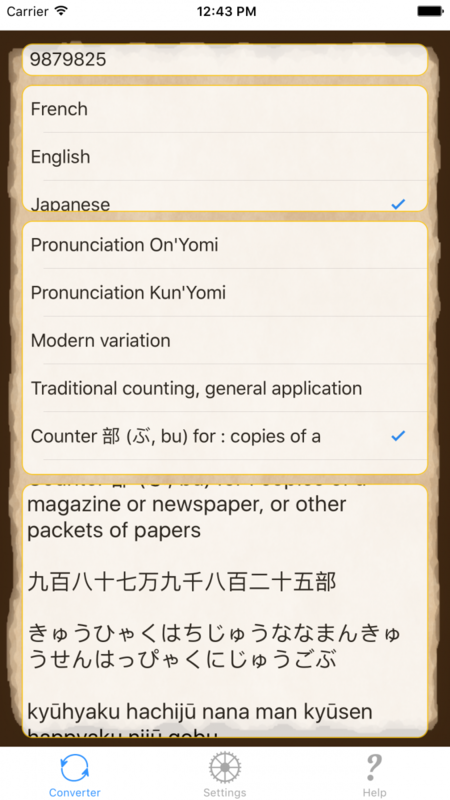 Do you know or do you remember the specific rules of counting of your country ? Num2Letter is an application that converts an integer number from 0 to 999999999999999 into its equivalent in letters, in several languages, tagged by their names. 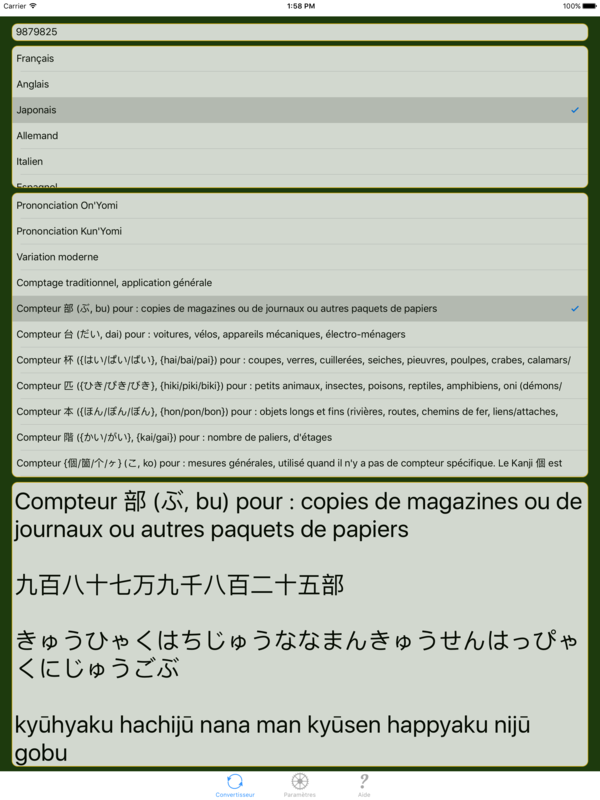 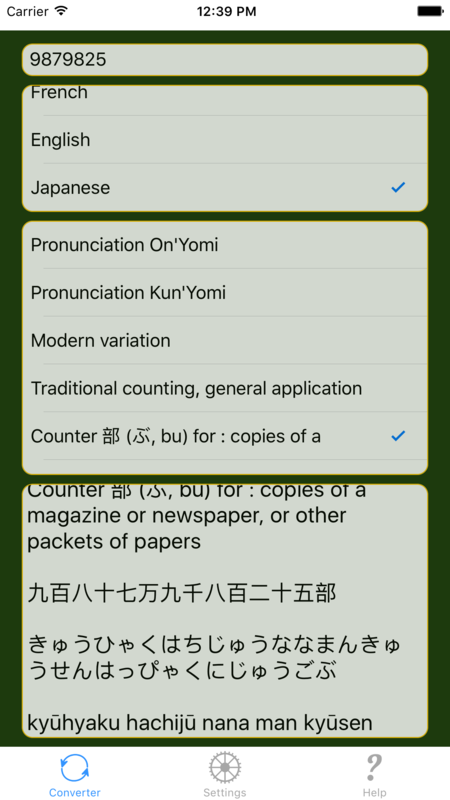 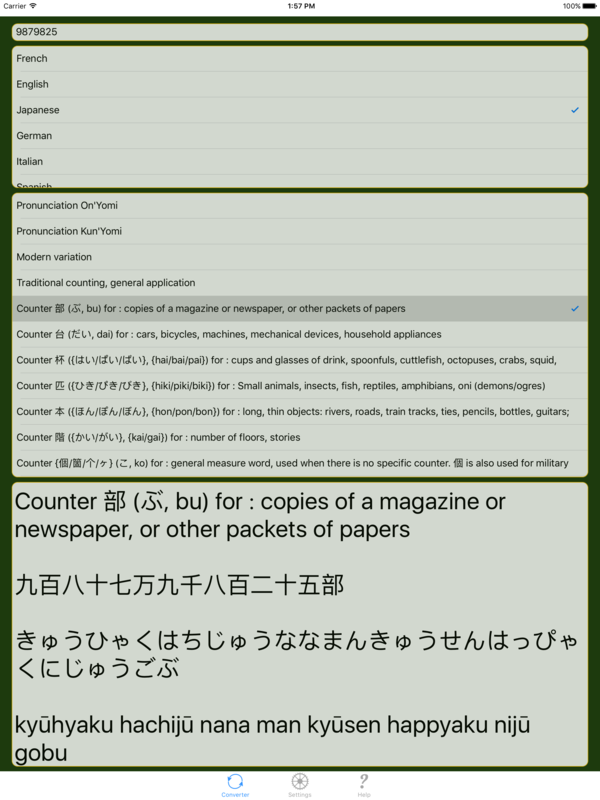 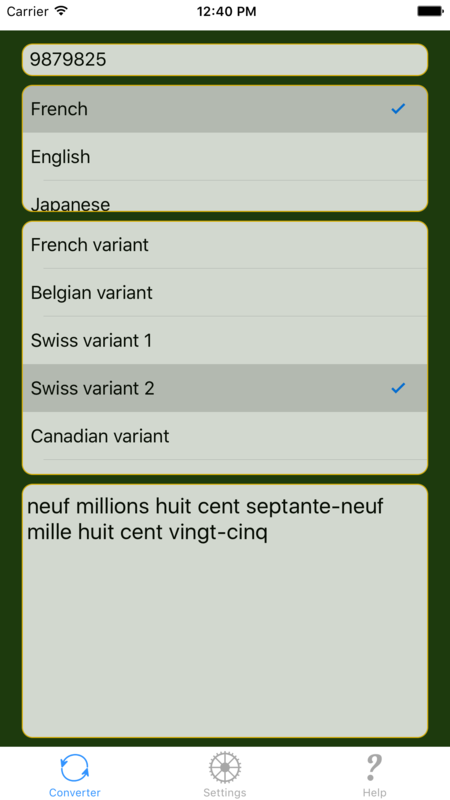 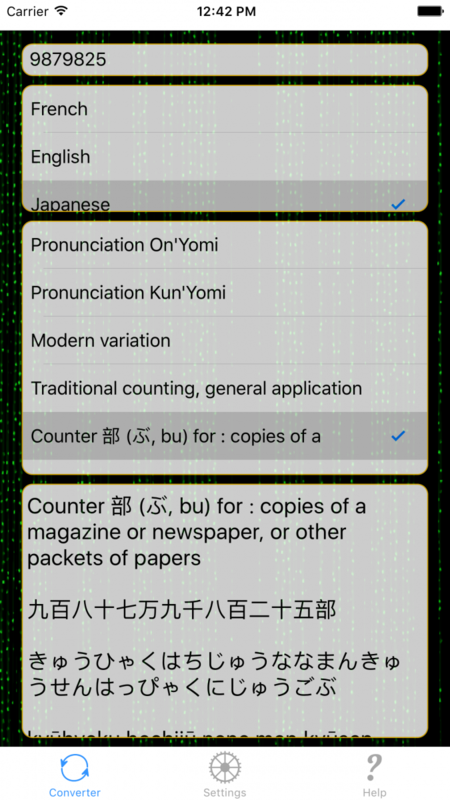 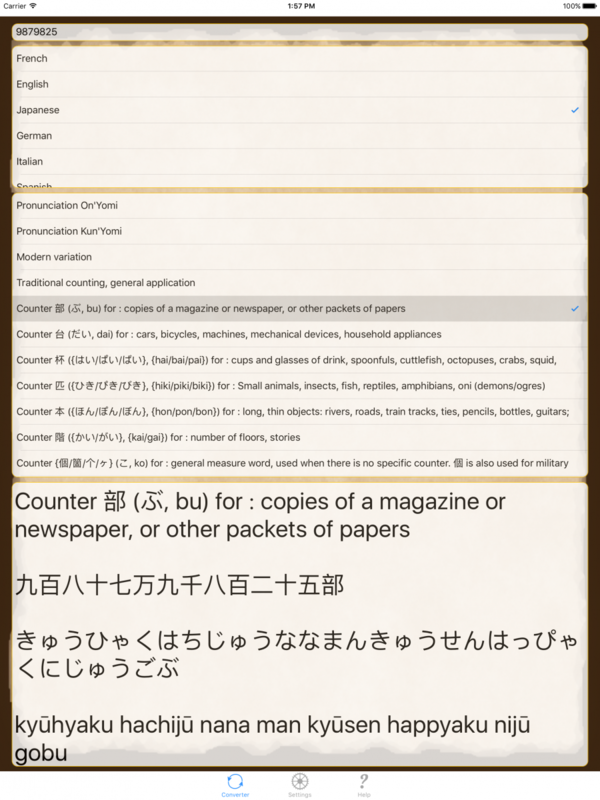 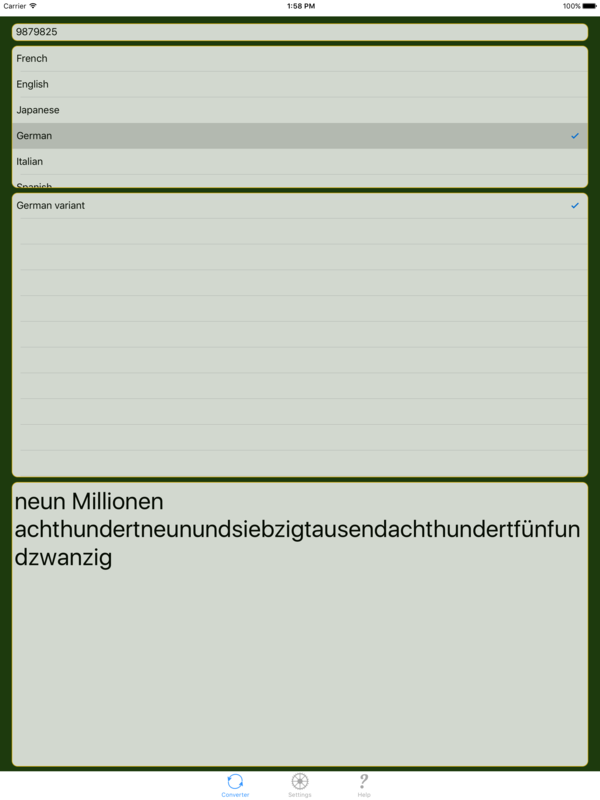 Num2Letter is personalized by selecting the default language of translation and appearance in the device’s settings.